With only four days left to file nominations, the BJP is yet to announce the candidates for its remaining six assembly constituencies, which includes the 13th Itanagar assembly constituency. On speculations that former MLA Kipa Babu may get the ticket for Itanagar, Kaso said that Babu was also a party worker and that he was not in a position to make a statement until the finalisation of candidates. “If I get the ticket, I will continue to give my best efforts for the people of Itanagar. I am with the BJP till the announcement of the party ticket and will be in the party till the BJP asks me to leave. I refuse to criticise anyone till the ticket is announced,” Kaso said. In the event that he does not receive the BJP ticket, Kaso said he will hold talks with the party on the next step of action. 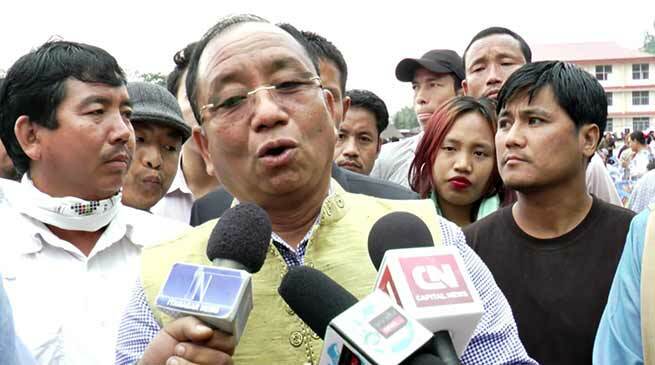 Speaking to media on the delay, state BJP president Tapir Gao said tha he could not divulge on the details of the final six candidates till the parliamentary board handed him the final list. The final list of candidates is expected to be announced by Wednesday night or Thursday morning, he added. Meanwhile, Tana Hali, Tana Yami and sitting MLA Nabam Rebia are in the race for a ticket to the Doimukh constituency. The BJP will also have to decide between Dorjee Wangdi and sitting MLA TN Thongdok for the Kalaktang ticket, while Gichik Thaji Kiogi and Jikke Tako are seeking a spot for Tali constituency. For Geku-Mariyang, the names of Anong Perme and sitting MLA Olom Panyang have surfaced. While Bamang Felix’s name has not been released officially, highly-placed BJP sources informed that he has received the BJP ticket for Bameng.